The Tie Ankle Jean is AMO's version of a cropped skinny fit with a twist. Denim ties at ankle give this seemingly basic jean an unexpected update. Read more.. The Tie Ankle Jean is AMO's version of a cropped skinny fit with a twist. Denim ties at ankle give this seemingly basic jean an unexpected update. 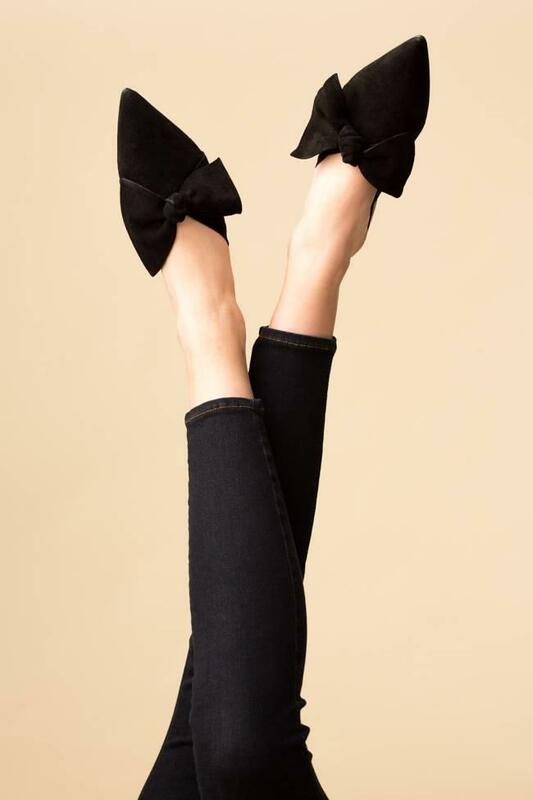 Mid Rise, cropped just above the ankle with a self tie denim bow ties at each ankle. Zip fly and 5-pocket styling. Made with love in Los Angeles. FROM AMO : "Our "Original Vintage Stretch" is a mid-weight denim designed to look like your favorite pair of vintage jeans, but with the perfect hint of stretch for a comfortable fit."